One of the most significant pilot licensing reforms by the Civil Aviation Safety Authority (CASA) in recent times has been the introduction in July of the Basic Class 2 Medical Certificate (BC2), but as with all reforms, it has potentially given rise to further issues and even division within the aviation community. The new BC2 Medical Certificate allows Private Pilot Licence (PPL) holders to have their medical examinations conducted by any medical practitioner who can conduct a motor vehicle driver examination, rather than a Designated Aviation Medical Examiner (DAME) as was previously required. The medical standard is exactly the same as a commercial driver standard (Austroads), but is accompanied by restrictions to the type of flight that can be conducted. The restrictions do not apply if a suitably qualified pilot with a valid Class 1 or Class 2 medical certificate occupies a control seat. Delving further into the Federal Legislative Instrument (CASA EX65/18), there is also a further requirement for the pilot to notify the passengers that they do not hold a standard private pilot’s medical certificate, but a certificate of a lower standard complying to that required by commercial road drivers. The pilot must also have the medical certificate available for inspection by the passengers. Seen as a great step forward in its ease of process, as well as reduced administration and cost, the BC2 Medical Certificate reform was initially met with a warm response – but that response has chilled on certain fronts. In its wake, the Australian Aircraft Owners and Pilots Association (AOPA) has highlighted what it perceives as an inconsistency in the new medical standard. Currently, a different medical standard exists within another group of aviators. Recreational Aviation Australia (RAAus) issues Recreational Pilot Certificates (RPC) under an exemption from CASA, allowing its members to fly RAAus-registered two-seat recreational aircraft up to 600kg MTOW under visual flight rules (VFR) and outside controlled airspace. Critically, the medical standard is of self-assessment in nature, for holders of a current motor vehicle driver’s licence. It is this self-assessment for an RPC holder as opposed to the BC2 medical examination for a Private Pilot Licence holder that has caused rumblings within the industry. AOPA executive director Benjamin Morgan addressed the issue in an open letter on September 21 to Deputy Prime Minister and Minister for Infrastructure, Transport and Regional Development Michael McCormack and Shane Carmody, the chief executive and director of aviation safety at CASA. In his correspondence Morgan highlighted the issue of comparing risk between the two forms of licensing, stating: “regarding double standards on private pilot medical certification. Quite simply it is either safe or it is unsafe for a private pilot to operate an aircraft with an MTOW of 600kgs with one passenger outside of controlled airspace. For CASA to assert that it’s risk-assessments have concluded that it is only safe if the pilot is a member of a private company is ridiculous. CASA RPL and PPL holders are trained to a higher pilot standard than their RAAus counterparts and therefore should represent a much lower risk to aviation safety!”. It now appears that what was initially heralded as a step forward in aviation medical certification and a win for industry advocacy, on closer examination has given rise to yet another vigorous debate. While the Basic Class 2 Medical Certificate legislation is now in force and available, it would seem that a final consistent standard across the broader piloting community that satisfies all parties may still be some time away. Can anyone explain what the aircraft powerplant type has to do with medical standard for Basic med? It’s dissapointing to see RAA pilots being talked about as being trained to a lower standard. Some might be, but there are plenty who go through schools that offer both RAA and PPL training, with the same instructors and the same levels of comptency expected of their students. It’s not the first time I’ve heard this from AOPA. For disclosure, I’ve held an RAA certificate and a CASA RPL at various times. CASA must love Hotair Morgan; they don’t even have to deal with a united front, between the brains trust at RAAus and Morgan’s little feud, the pilot body is too busy measuring appendages to fix the situation once and for all. Any bets that the next move is to ditch RAAus medical self-certification? That will be a real win, eh? 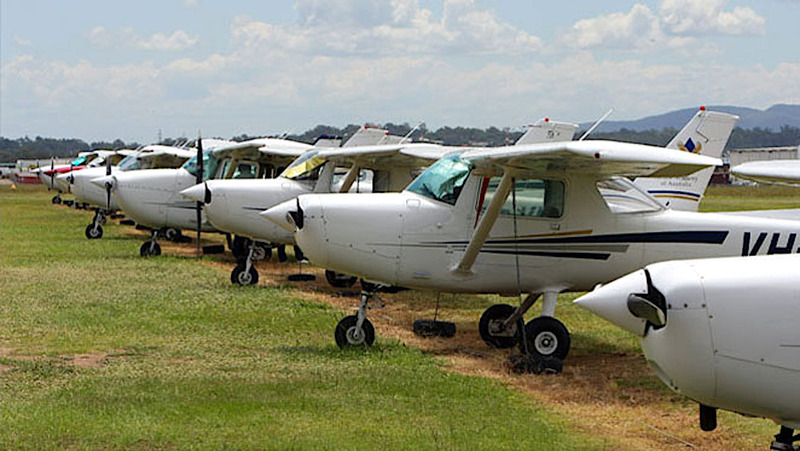 Federal royal commission needed into Australia aviation – too many stuff ups. I find it odd that I no longer have to sit a drivers licence medical for my car licence. I’m authorised to drive a truck if I want to and also public passenger transport however I can’t even get a drivers licence aviation medical when I haven’t had a seizure in 11 years and been off medication for a while now.